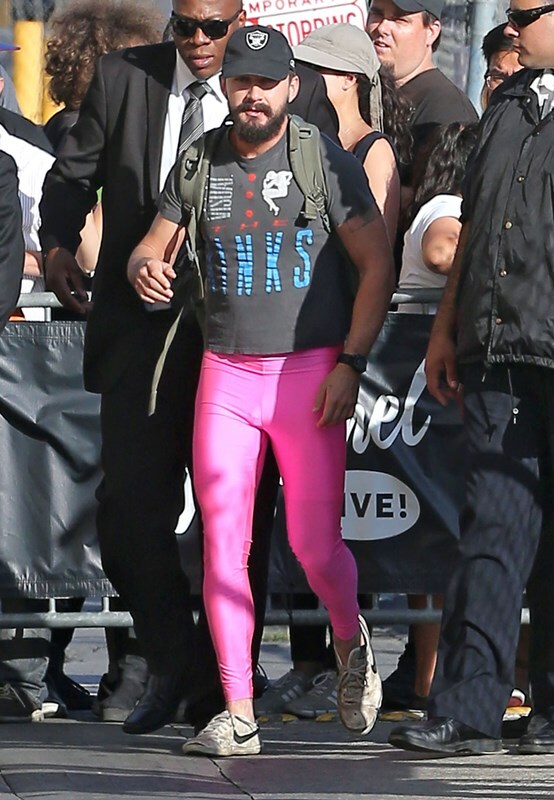 Shia LaBeouf. I mean, it’s Shia LaBeouf. You can describe him in all kinds of ways – most of them negative: troubled child star, plagiarist, stunt queen, belligerent, a very bad drunk, etc, etc, etc. He’s also a good actor. And an entertainer. That’s the quality that got him discovered, and I’ve always said this about Shia LaBeouf – he’s watchable, when he’s right it’s the right kind of charisma; he has It. That It. The problem is that he has a problem harnessing it. And, you know, he can’t come up with his own ideas. Being so rich from movie robots, there’s the issue too of him having too much time on his hands. A certain discipline is required for those who don’t have a schedule. When you grow up the way he did, or, say Lindsay Lohan, and Justin Bieber, without structure, that’s where the wildness can come. But he’s back to work now. On promotion for the upcoming Fury. And he’s not carrying the film this time. 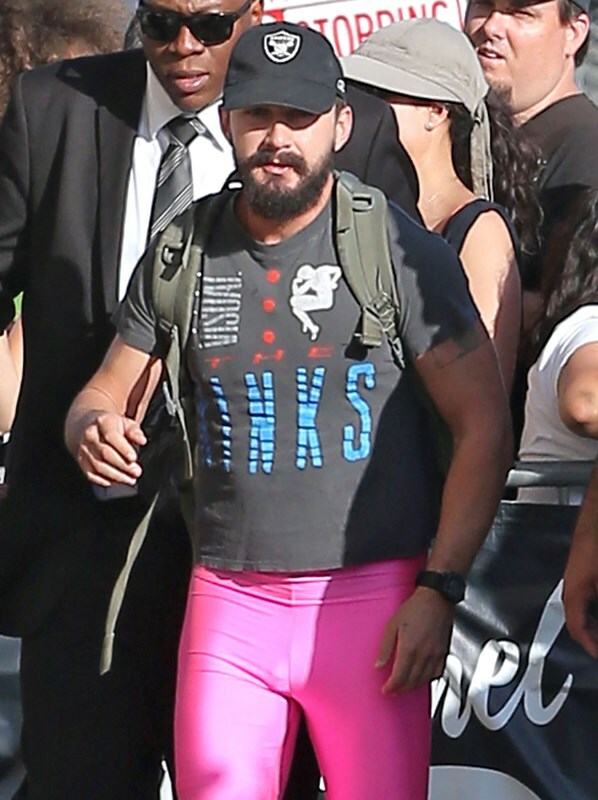 This time he has to answer to Brad Pitt who’s, like, John Wayne in Shia’s mind. 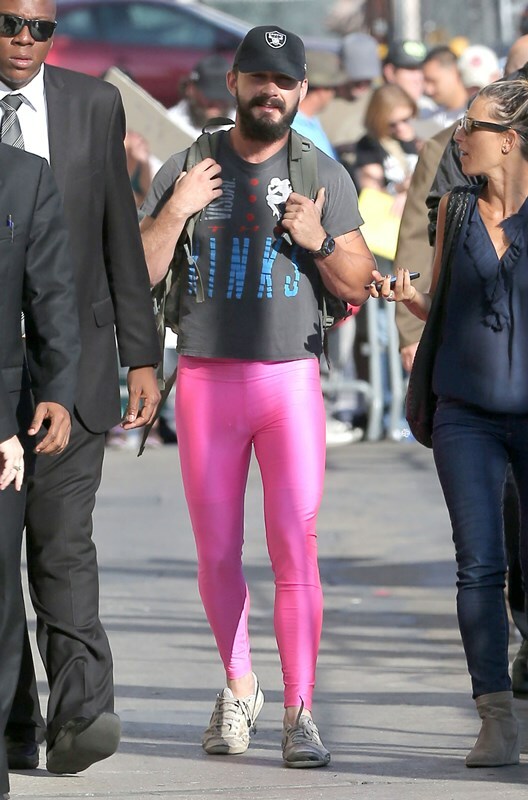 Brad Pitt-John Wayne would not be impressed with Shia’s usual shenanigans. So, so far, at least on Kimmel last night, we saw the best side of Shia: the charming storyteller, the guy at the bar – oh, always at the bar, always that guy at the bar – who tells the most engaging, colourful tale. Come on. He’s likeable here, non? That’s the It. The good side of the It. How long before the other side comes out?